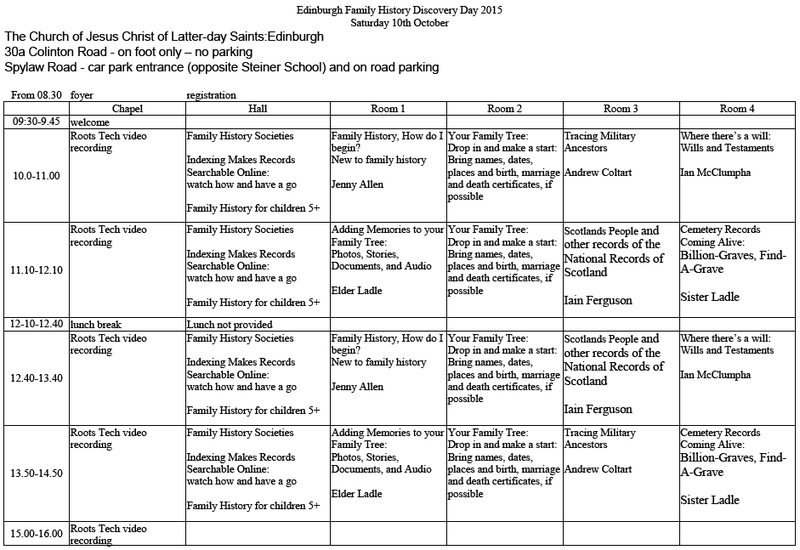 Variously billed as Edinburgh Family History Fair or Edinburgh Family Discovery Day, this event hosted by Edinburgh Family History Centre (also known as The Church of Jesus Christ of Latter-day Saints, Edinburgh) offers talks, workshops and stands by various family history societies. 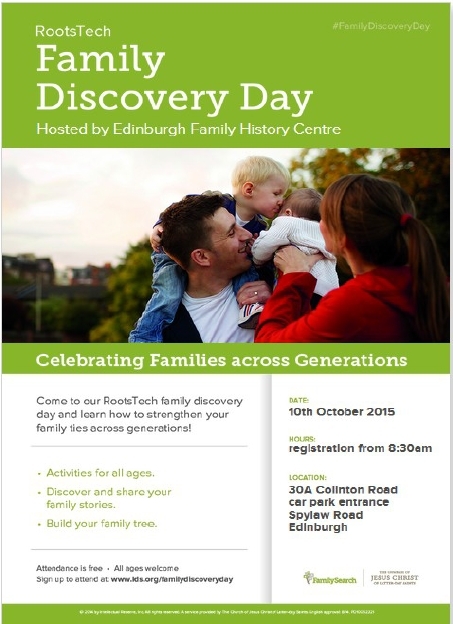 If you missed the Berwick 900 Family History Festival, here's a chance to follow up on your family history. The event's address is 30a Colinton Road, Edinburgh but the car park's in Spylaw Road, opposite the Steiner School and that's easier to find.